County residents have an excuse to do some spring cleaning. 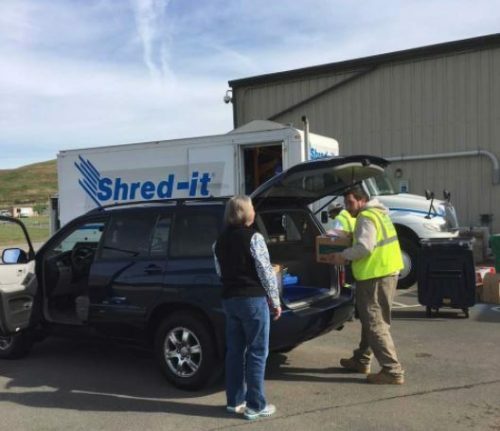 Starting at 9 a.m. on May 4, the county’s Solid Waste Division will host a document shred event. Confidential papers, including bank statements and tax returns, can be brought to the free program. 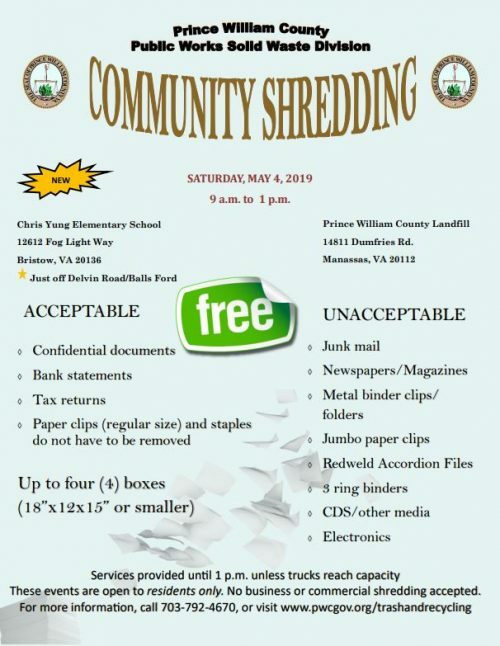 It will take place at the Prince William County Landfill, 14811 Dumfries Road in Manassas, and Chris Yung Elementary School, 12612 Fog Light Way in Bristow. Each participant may bring four boxes that are no bigger than 18 inches long, 12 inches wide, and 15 inches tall to the event, according to a release from the division. They don’t need to remove staples or paper clips. Officials advise citizens to recycle documents that aren’t confidential through curbside collections or bring them to drop-off sites.